Get noticed for your stunning complexion — not for your makeup. This oil-free formula primes your skin and reduces the appearance of fine lines and pores, making your complexion look velvety-smooth and flawless. So you'll get noticed for all the right reasons. Ingredients: Water\Aqua\Eau, Cyclopentasiloxane, Ethylene/Acrylic Acid Copolymer, Butylene Glycol, Dimethicone, Methyl Methacrylate Crosspolymer, Polysilicone-11, Palmitoyl Oligopeptide, Decyl Glucoside, Carbomer, Hydroxyethylcellulose, Triethanolamine, Caprylyl Glycol, Hexylene Glycol, Tetrahexyldecyl Ascorbate, Phenoxyethanol. I love this primer. The light formula is great for combination skin. 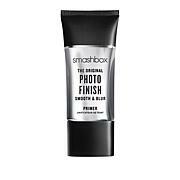 Smashbox carries some of the best primers in the industry. Good makeup starts here. Don't hesitate. Nothing will do more to increase the performance of your makeup. No adverse effects on skin either. A must have! Love this! 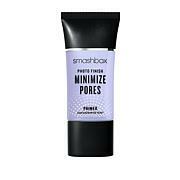 Major fan of anything Smashbox and this is no different. Makes your makeup look perfect. 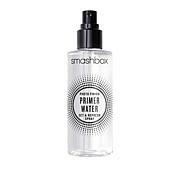 If you are oily or prone to break-outs I think this primer will change your life as it has changed mine. Nobody makes anything like this. Since finding this primer about 10 years ago I have not used anything else. When I try others, I find them slippery, or tacky or feeling like silicone and I hate that on my skin. 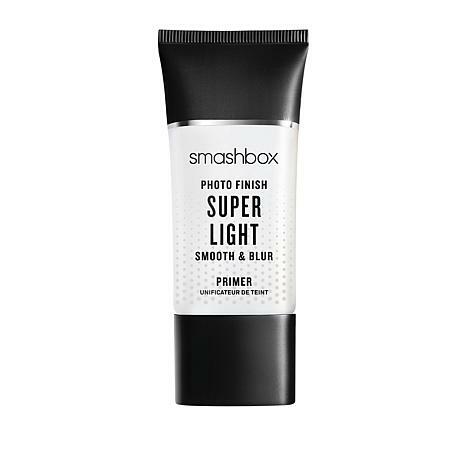 Primer Light simply seals your moisturize and leaves a dry, matte finish that your make-up will glide over. No more oily, tacky make-up brushes from trying to put foundation over moisturizer. Please HSN, keep this in stock. I'll continue to purchase. Please bring more Smashbox. It is a great brand.